If you are looking for a low impact workout machine to use in your home gym, the TreadLife Fitness Strider 1 makes an interesting choice. This fitness machine combines the benefits of a standing elliptical trainer and recumbent bike. It is a recumbent elliptical cross trainer, designed to provide whole body workouts from a seated position. This fitness machine works in a similar way to those found at a physical therapy studio, but it comes at a much lower price. In this TreadLife Fitness Strider 1 review, you can learn more about it and make an informed buying decision. At first glance, the TreadLife Fitness Strider 1 looks much like a recumbent bike. But, when you look at the design closely, you will notice the oversized steppers as well as handlebars for working the upper body. The foot platforms and handlebars provide a simple back and forth reciprocal hand & leg motion, much like how you would move on an elliptical trainer only that in this case, from a seated position. This recumbent elliptical cross trainer comes disassembled and weighs 135lbs. instructions in the user manual allow for easy assembly, but you can opt to have a professional put it together for you at a fee. The TreadLife Fitness Strider 1 has a footprint of 58” (L) x 32” (W) and it can support up to 300lbs of weight. Below are details of other noteworthy features that come with this fitness machine. 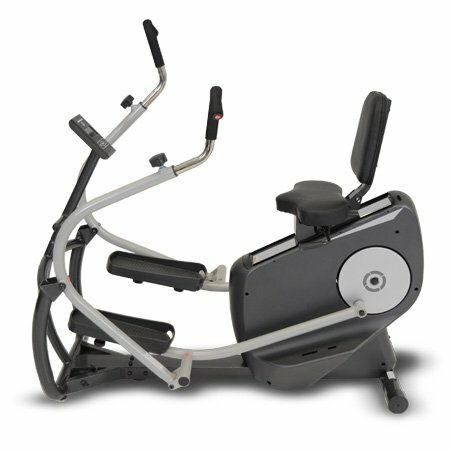 Like most recumbent elliptical cross trainers, this machine features a seat with backrest support. The seat is padded and you can adjust it backward or forward for comfort. The basic console on this fitness machine will calculate and display your fitness stats automatically. 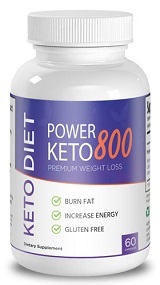 It displays selected resistance level, calories burned, your speed in miles per hour, and workout duration. While the LCD console does not store any data, you can keep an exercise log using the data captured from each workout session. Depending on the ease or difficulty you want when working out with this recumbent elliptical cross trainer, you can change the resistance setting to match your preferences. Resistance starts at 20-Watts and there are up to 16 levels from which to choose. In addition, the foot pedals and arms work on the same resistance level to allow for smooth motion. Is the TreadLife Fitness Strider 1 Worth Buying? For those in need of affordable home gym equipment designed to provide low impact workouts that are easy on the knees, the TreadLife Fitness Strider 1 (TL 1) makes a good pick. It compares favorably to a NuStep without all the fancy bells and whistles but only fetches one third of the price. That being said, it is important to ensure that this machine will be comfortable to use. Stride length for the TreadLife Fitness Strider 1 (TL 1) ranges between 12” and 15” based on foot and or seat position. Apart from the affordable price tag, the manufacturer’s warranty, return policy (although this depends on where you buy) and high build quality of this recumbent elliptical cross trainer are other reasons that make it an appealing fitness product. Majority of buyers have given positive feedback and high ratings for the TreadLife Fitness Strider 1. Some of the aspects that buyers loved most about this fitness machine include its silent operation, ease of use, and affordable price tag. The TreadLife Fitness Strider 1 strikes a good balance between function and price. You get the same workout provided by other more expensive recumbent elliptical cross trainers like the NuStep, but only pay a fraction of what those high-end models cost. Overall, this product provides good value for the price if you are looking for a home gym machine for low impact cardio workouts.